In November 1864 a number of Union Ironclads were to be found on the James River in Virginia, supporting Federal ground operations there.A large number of the men on board the vessels of the James River Flotilla were Irish; indeed they made up an estimated 20% of all Union sailors. How did they and their comrades celebrate Thanksgiving 150 years ago? 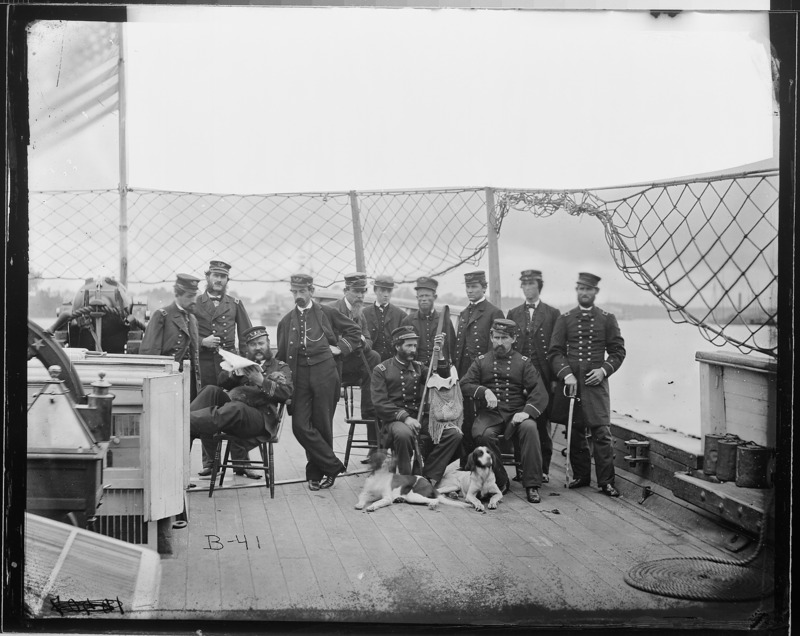 Officers on the deck of the U.S.S. Onondaga with their dogs. The identity of the Irish correspondent, ‘Garryowen’, has not been established (National Archives). This entry was posted in Atlantic Deeper Waterways Association, Middlesex Canal, Uncategorized on November 28, 2014 by Florida's Big Dig.